Mike Stanhope had high hopes for his self-published thriller (featured in the first book in this series), but life intervened and he neglected it. Frustrated with his day job, he decides to give it a new push. Who knows? It might just change his life for the better. He picks an expensive, high-profile book promotion web site and pays his money … and waits for something to happen. The swirling sequence of events that this unleashes shows little sign of bringing him the hoped-for breakthrough, but the consequences soon threaten to engulf every other aspect of his life. Looming in the midst of Mike’s troubles is the enigmatic Nick Hathaway. He seems to ooze good will … or does he have a hidden agenda? Mike tries to take him at face value, yet can’t resist digging into his background. But will his efforts bring him closer to Samantha, the woman he fell for last year, or merely alienate her? And what of Mike’s faltering relationship with his girlfriend Ashley? Can it ever be repaired? Ranging from London to Los Angeles and back, The Concrete Ceiling is the most breathless, event-packed episode so far in Mike Stanhope’s unfolding story. The hard work of self-publishing starts when the book is finished. That’s when the marketing effort has to kick in. Mike Stanhope knows this, but wants to short-circuit the pain. The Concrete Ceiling is a salutary lesson in what might happen to those who try. Logistics + property = drama! As part of the familiar logistics backdrop of this series, The Concrete Ceiling introduces the property angle – finding the right site, securing the right warehouse, fending off conflicting claims. Boring? Not when Mike Stanhope is involved! The concrete ceiling – how will Mike cope with it? Self-publishing looks so easy. Write a good book, offer it online through Amazon or another of the self-publishing web sites, and your audience will come. Won’t it? Well, no – as Mike Stanhope has already learned the hard way with his first novel. Breaking through the visibility barrier has proved immensely challenging for him, requiring money and hard work in equal measure. He’s resigned himself to scraping along at the bottom of the sales rankings. However, spurred by the aspirations of another wannabe author, he decides to give his book a further push – and that’s when things start to go wrong. What he can’t work out is whether his woes are coincidental, or whether he’s brought them on himself; and the harder he searches for answers, the more trouble he gets into. From murder suspect to murder target, he fights his way towards a series of increasingly surprising revelations. 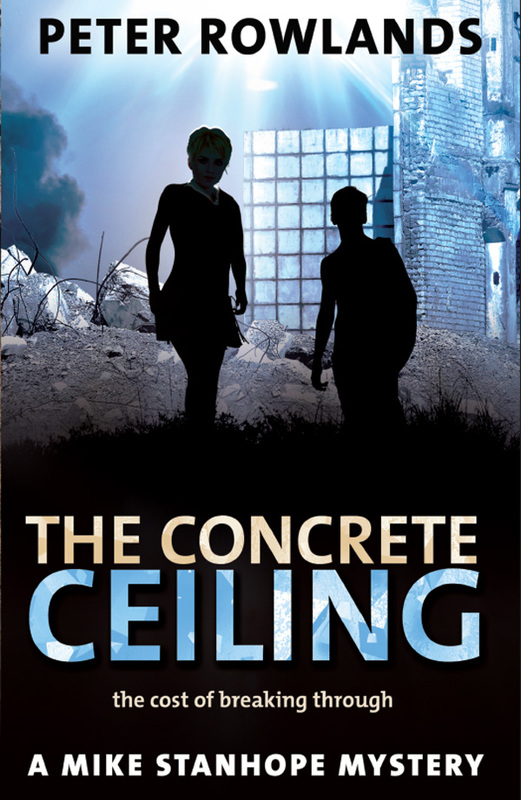 The Concrete Ceiling is the most rounded of the Mike Stanhope Mysteries to date. Mike’s breathless and dangerous quest lunges inexorably and satisfyingly back towards its starting point. But can Mike and those around him get there unscathed?